• FloPlast High Capacity Cast Iron Effect Guttering System. PVCu FloPlast Cast Iron Effect 65mm Square Downpipe 112.5° Offset Bend. Avaliable in Black FloPlast Cast Iron Effect only. 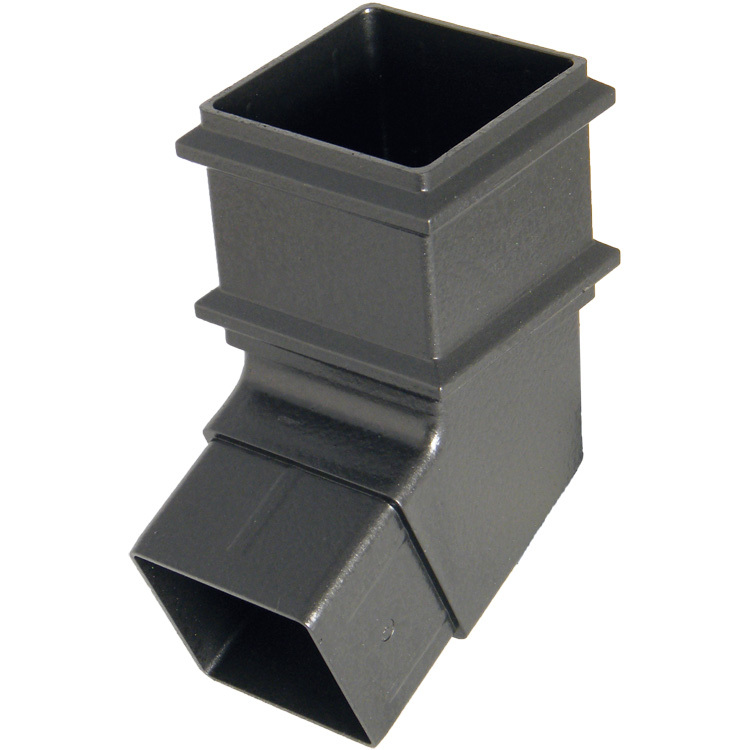 This fitting suits FloPlast plastic downpipe measuring 65mm x 65mm and is for use either as a stand alone product or with the Niagara Ogee Cast Iron Effect Guttering.